Penn State New Kensington plans to open its downtown New Kensington business incubator next summer in a different location than originally anticipated. On Thursday, the Westmoreland County Commissioners are expected to vote to buy the former Social Security office building at the corner of Fifth Avenue and Seventh Street, across from Eazer’s Restaurant, according to PSNK Chancellor Kevin Snider. Snider revealed the new plan during an economic development workshop Tuesday morning sponsored by the Alle Kiski Strong Chamber of Commerce at the Quality Inn in New Kensington. In January, the college, whose campus is in Upper Burrell, held a demolition ceremony in an empty storefront at 951 Fourth Ave., which once housed Hart’s Department Store. Snider said the change came about because the county’s Industrial Development Corporation must own the building to take advantage of a variety of grants. The old Hart’s site is not for sale. 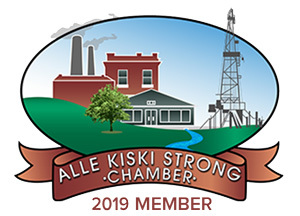 The Alle-Kiski Economic Generator will offer space for fledgling businesses, established companies looking for meeting space, commuters who occasionally work from home and the reported 3,000 people who telecommute in the Alle-Kiski Valley, according to Snider’s statistics. “We think we can make enough money to sustain the space and to expand the entrepreneurial offerings,” Snider said. He said the break-even point is to have 88 people pay monthly rent, which may be about $125 a month, depending on build-out costs. The project is based on The Beauty Shoppe in Pittsburgh’s East Liberty neighborhood, which is partnering with PSNK. The Beauty Shoppe owns co-opted space in Cleveland and the model is popular in large cities like Dallas, New York and San Francisco. What’s more, Snider hopes the New Kensington project will be a model for other Valley towns. Snider said he hopes the project will help rejuvenate downtown’s Fifth Avenue as an innovation corridor. John Turack, executive director for the Smart Growth Partnership, which helps communities grow by providing education and technical assistance, said he believes the project will create significant impact. “I really think there will be spin-off businesses with private investment that will be created here as a result,” Turack said. Mario Guzzo is a freelance writer.